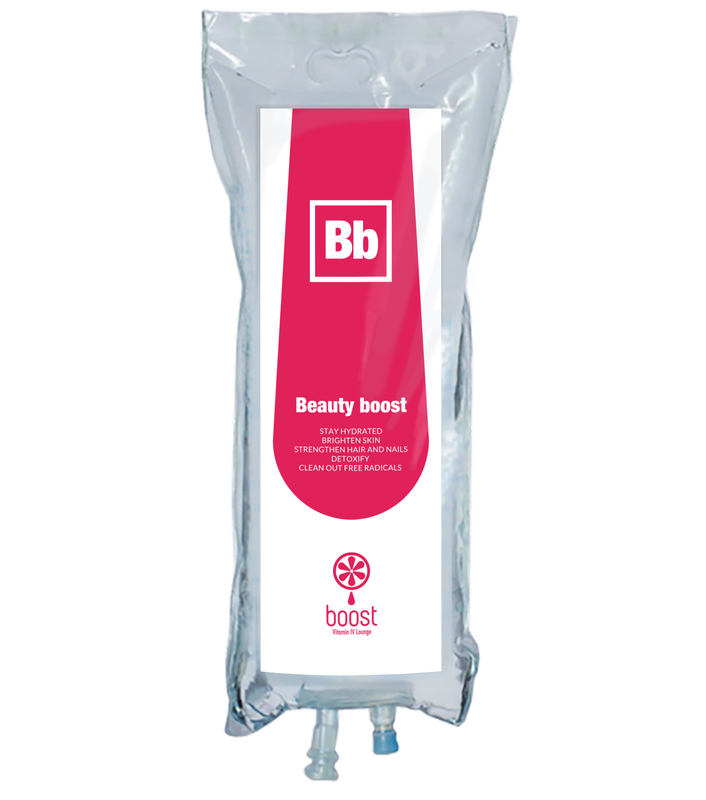 The Beauty Boost is a Vitamin IV Therapy that uses the perfect formula to keep your hair, skin, and nails looking young and beautiful. With a perfect blend of nutrients geared for hydration and antioxidation, it is a high dose boost that keeps the signs of aging away. How Does Beauty Boost IV Therapy Work? Using a special blend of vitamins and nutrients, Beauty Boost aids in collagen synthesis and the regeneration of vitamin E and A in your body to help clear scars and reverse the signs of aging. Other ingredients help increase the strength of your hair and nails while promoting your skin to retain moisture. Together, these ingredients work wonders and serve as an anti-aging secret weapon that will keep you looking beautiful.